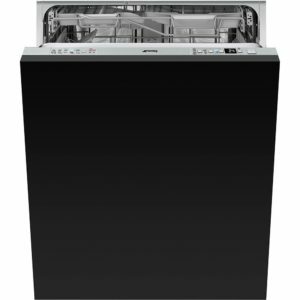 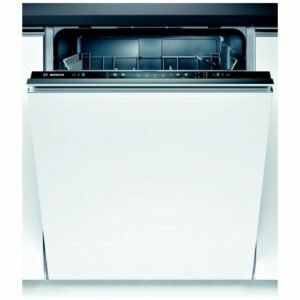 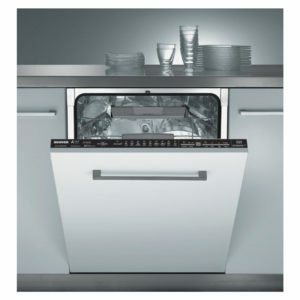 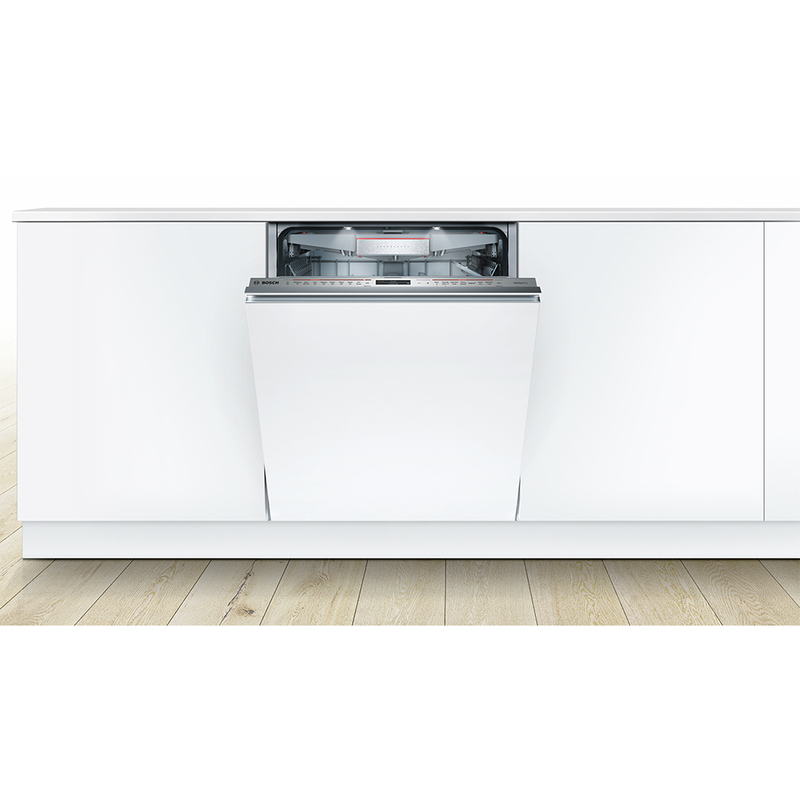 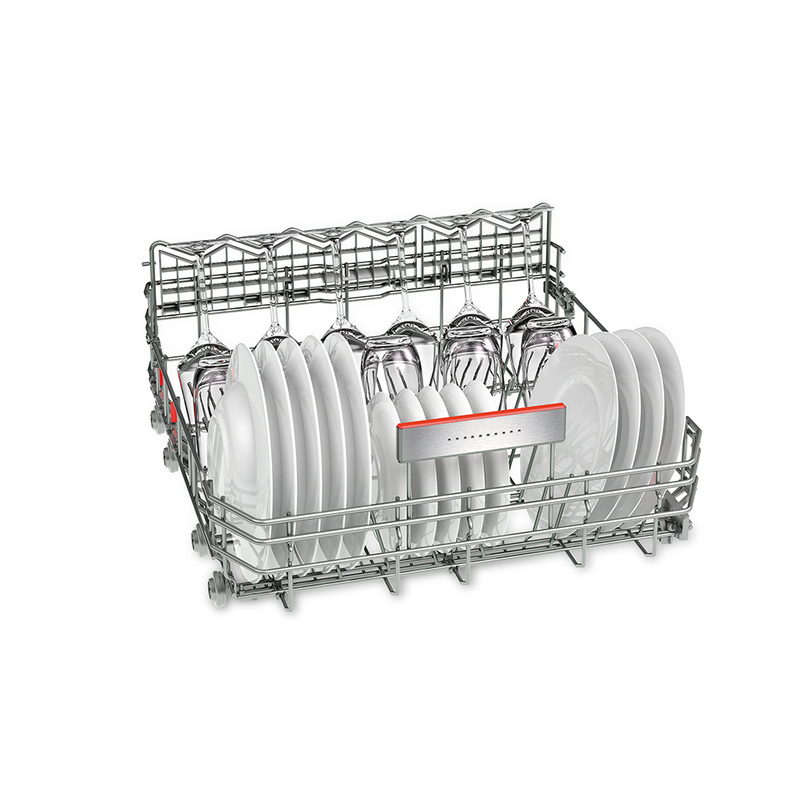 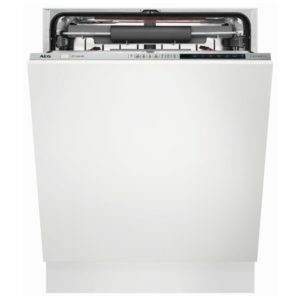 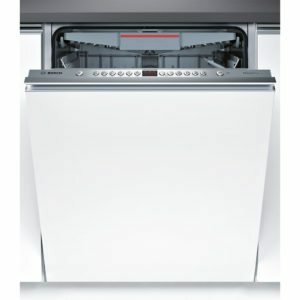 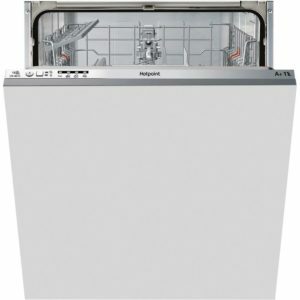 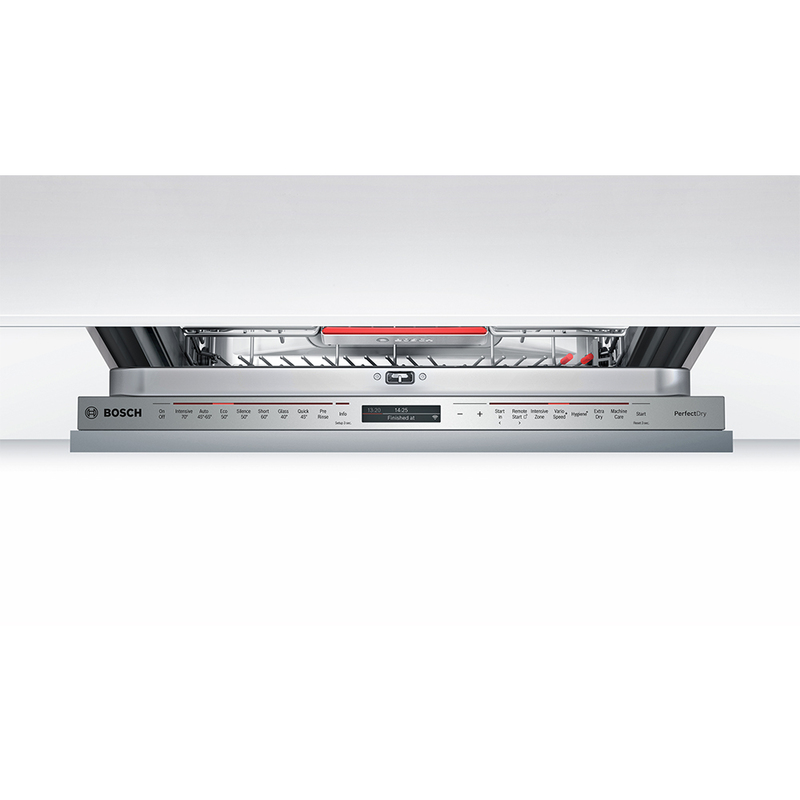 Larger families need look no further for a dishwasher, this spacious, cost cutting, energy efficient fully-integrated PerfectDry dishwasher by Bosch hits the nail on the head! 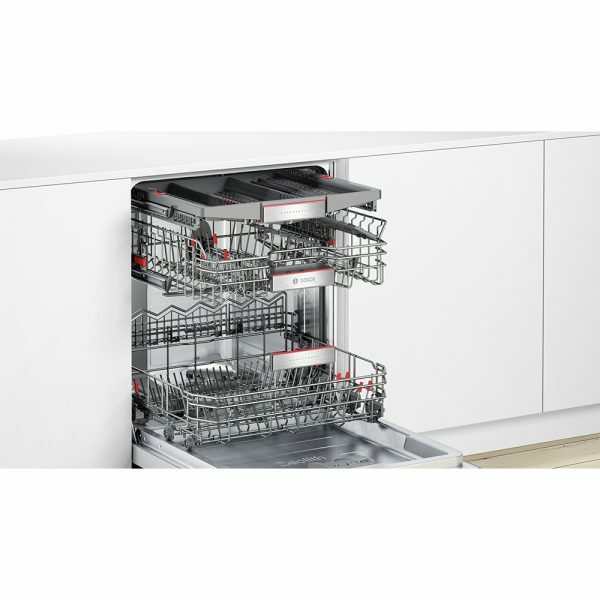 On opening up the dishwasher you’ll find a remarkable amount of space to fit 14 place settings and with its 8 different wash programmes wash whatever you choose, it’ll get the job done and quietly too. 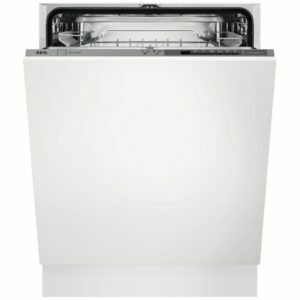 And why is it Perfect Dry? 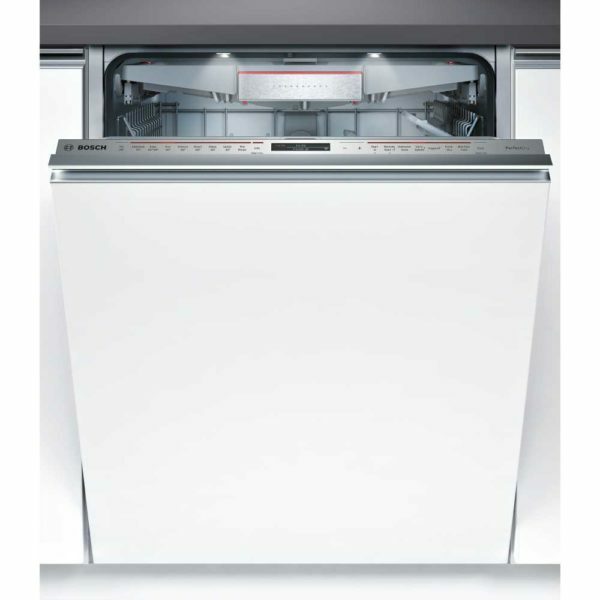 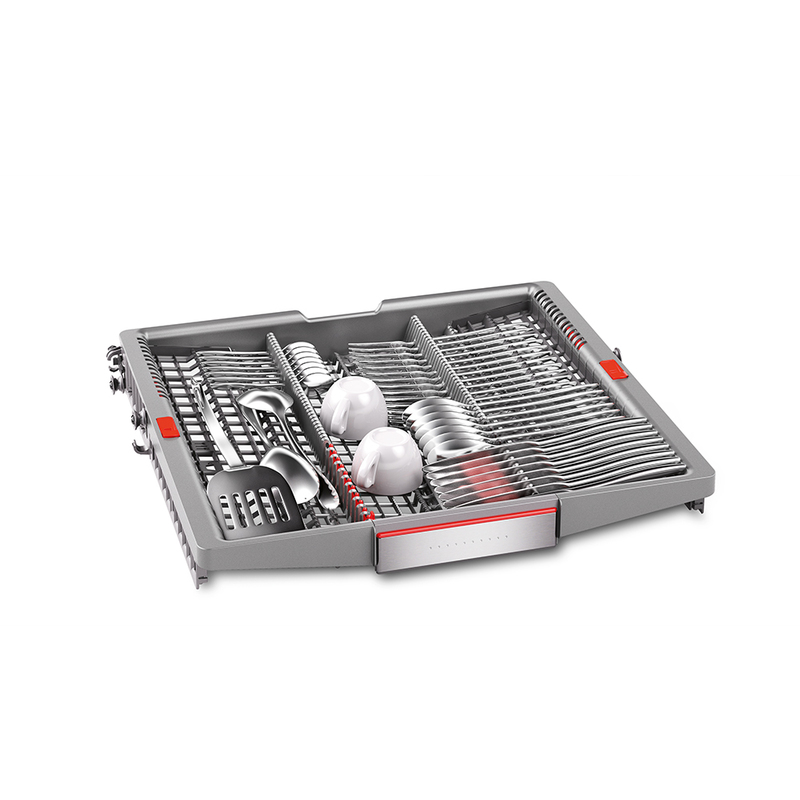 PerfectDry uses Zeolith minerals to help dry your pots and pans economically and efficiently. By absorbing humidity from the dishes the Zeolith beads then transform that humidity into warm air that speeds up the drying process! 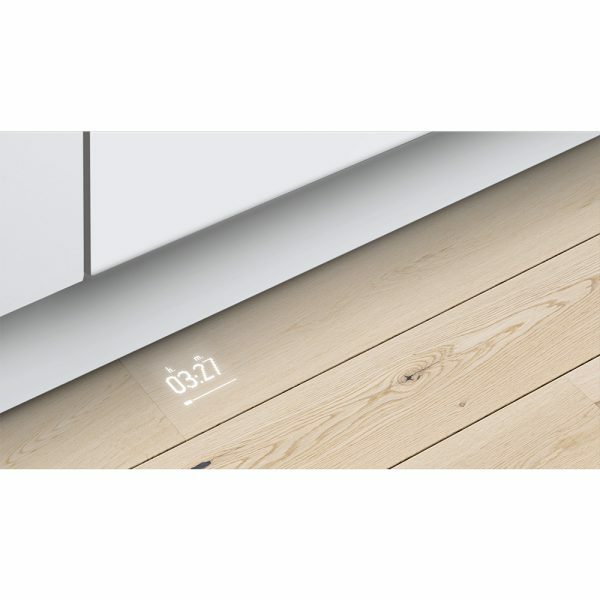 Also featuring Home Connect, which enables you to connect to your appliance with your smart device from anywhere. 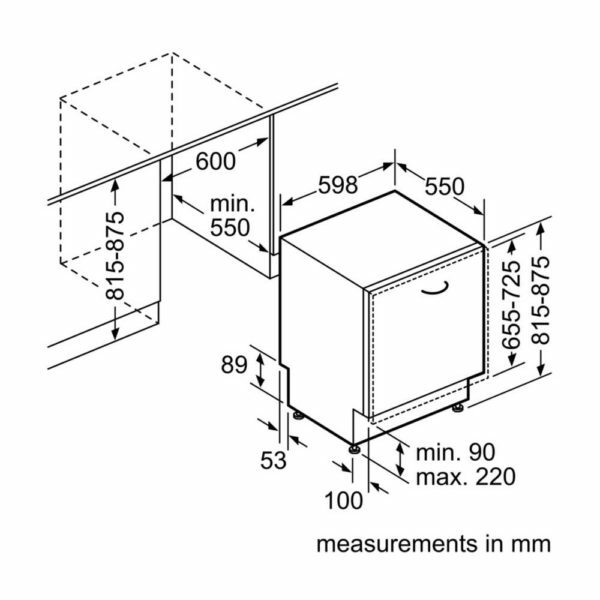 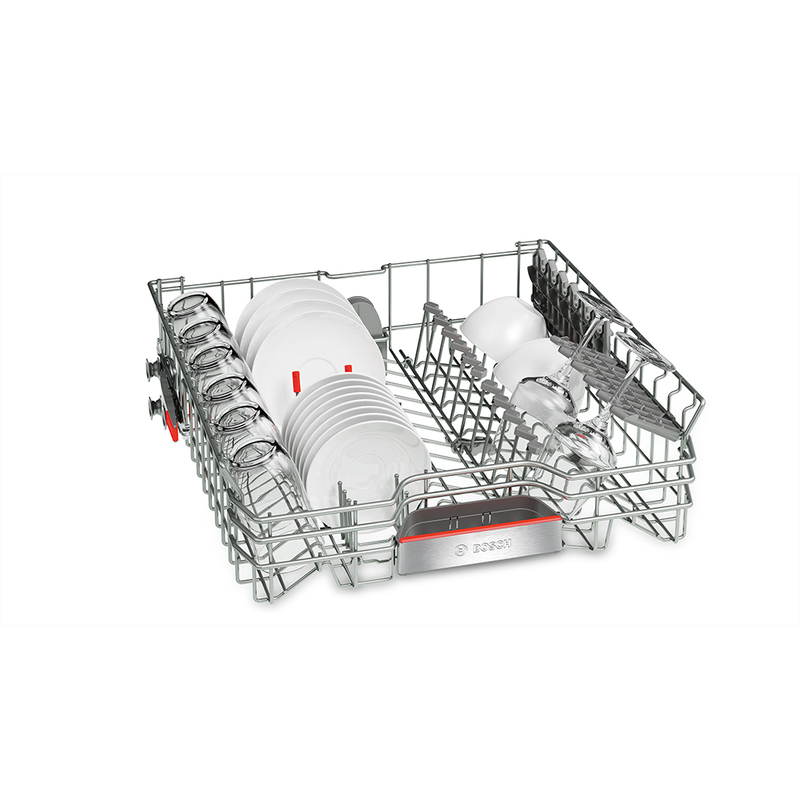 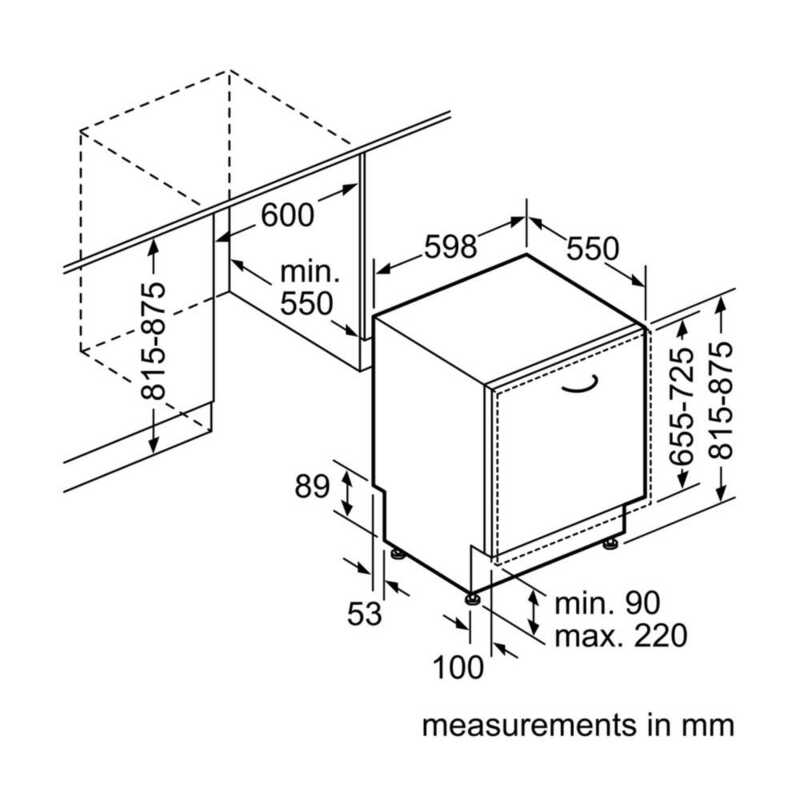 This means you can control your dishwasher easily and monitor its progress through the cycle. Plus with options such as Hygiene and Vario Speed, you can get brilliant results and with reduced run time.